The Eastern Cape Province of South Africa has a bloody history and seen the destruction of wildlife on a wide scale, but today it is on the road to recovery in a big way. 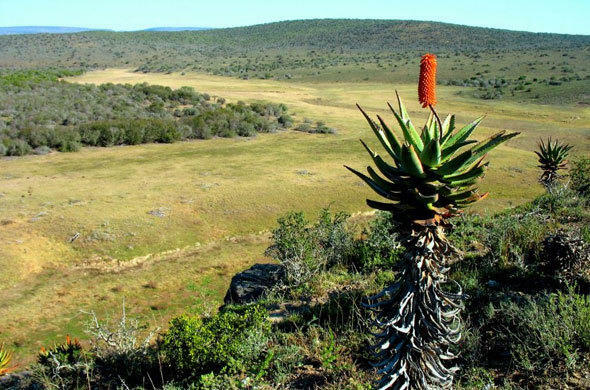 Considered by many early explorers and hunters as some of the richest wildlife areas in Africa the Eastern Cape soon fell silent to the calls of wild animals as the policy to shoot to kill was executed with ruthless efficiency. Considered a danger to the settlers the game was cleared to make way for farming. The only survivors from that time were a few elephants that took refuge in the thick bush of the Addo area. These survivors were given protection and today the elephants of Addo Elephant National Park are thriving. Some private landowners in the latter part of the twentieth century realized that farming in certain areas was unproductive and they began to restock the region with wildlife. Initially the return of wildlife was for the purpose of hunting but with the growth of tourism in the country since 1994 the landowners realized the potential in photographic tourism. It was to be almost 150 years before the roar of a lion was again heard echoing through the valleys of the Eastern Cape, and today there are a number of reserves that have restocked lions. 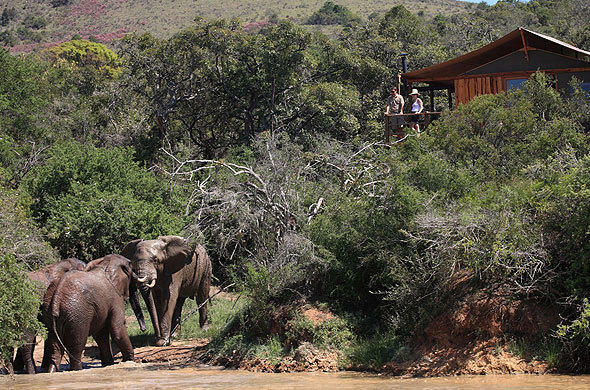 Shamwari and Kwandwe Game Reserves were built on a dream to return the wilderness of the Eastern Cape back to its previous splendour and other landowners have followed. 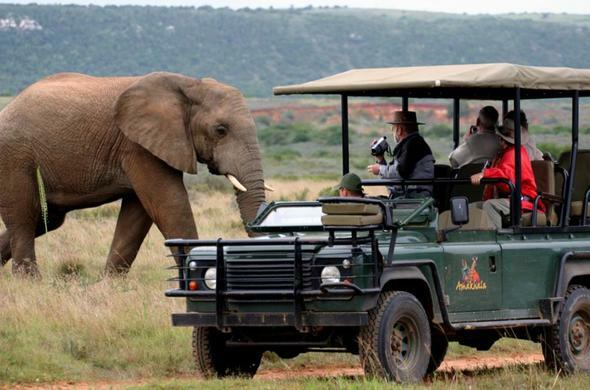 Even the South African National Parks have come aboard and leased concessions in the Addo Elephant National Park out to private enterprise for tourism growth. Twenty years ago the Eastern Cape had a great deal to offer visitors - but it did not have big game. 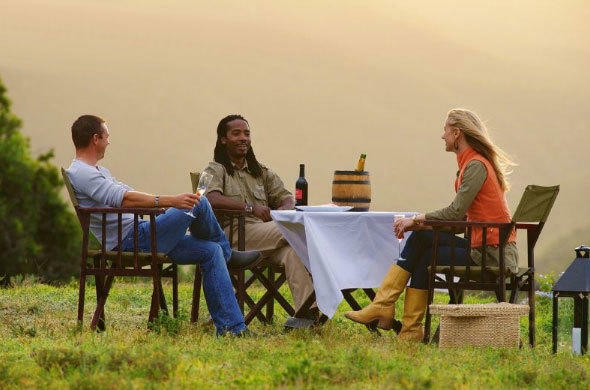 Through the efforts of landowners this began to change and today an Eastern Cape safari can offer a wildlife experience to rival any in South Africa - with the added attraction of been in a malaria-free region. Still in their infancy the game reserves of the Eastern Cape are providing guests with the same standard of luxury and comfort - and wildlife experience - that other reserves of South Africa are providing. In fact Shamwari and Kwandwe have multiple awards in conservation and service from renowned conservation and travel organizations.